This week’s prize will be Sonic Adventure on PSN. Right now I can only guarantee one code to giveaway but I may be updating this with several more during the week if I’m able to get more. Good luck! Contest: We’re giving away 2 copies of Shinobi 3DS! Floaties, yay! Now I can begin my swimming again. I wonder if this version of the game has the bugs removed ie cheap deaths. Never really got the chance to play this one as Sonic Adventure 2 was my first Dreamcast Sonic game. Hey, awesome! This should finally push me over the edge to play the game rather than just duck out on my Dreamcast with the original PSO. Thanks, guys. 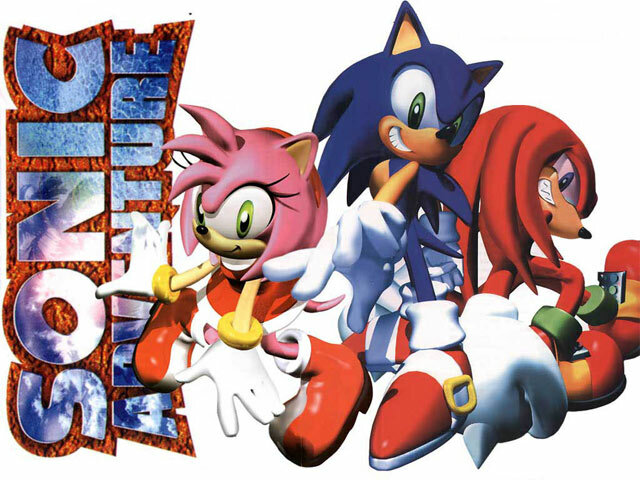 As for Sonic Adventure…what system do you think you guys would rather play it on? I’m thinking the 360 myself, maybe because the four color coordinated buttons most resembles the Dreamcast. I guess the heft of the XBOX controller does, too. Otherwise, I can’t see a convincing argument either way other than a preference for achievements or trophies. Congratz grolt, Skrams and Daguru77. If the unlockable character was anyone other than Metal Sonic, do you think Sega would still try to get $5 for the DX bonus mission DLC? Still haven't received an email about it though. Hopefully it will come soon. Thanks for all the contests! Been winning something for 3 Weeks straight! I demand a shooter with E-102 in it.